"Many thanks and can I also say it was nice to see that your company and its services look to have grown well and you have still managed to keep a personal relationship with customers." We are very proud of what we do. Listed below are some of the lovely things you have been saying about us. Thank you for taking the time to let us know. Please feel free to email us with your testimonial and we will share it here. We love to see images of your finished products too. "I am so glad that I chose to come and do my training with you, I have thoroughly enjoyed today. And learnt so much more than I expected, and have such a better understanding of the art of baby casting now. I'm so excited to get the ball rolling and my business up and running. Everything was fantastic, your hospitality, the training, the knowledge you shared, everything was brilliant. Again thank you for a wonderful day. Kindest regards"
"Hi Tam, Just wanted to email you and say thank you again for today. I really enjoyed it and have come home with lots of ideas and techniques you’ve given me, I can’t wait to get started. You have some great knowledge that I’m so glad you’ve shared with me. Thanks again Tam for a really enjoyable experience. "Just a quick email to say I've received my frame today. It's the first one I've ordered from you for my businesses and I'd like to take a moment to tell you how impressed I am. The frame was so easy to order with lots of choice, it is of true likeness to the photo, fantastic packaging and the value for money for such a great quality frame is just brilliant. I'll be sure to order my frames from you in future. Thank you very much." Couples Hands Casting Kit - Made up specially with extra materials and a wider bucket. "Ta dah! As promised Tam, the end result. We are thrilled. So thank you so much again for taking the time to get the right bucket plus all the instructions etc. The creation is called Signalling Peace (the light is a WW2 lamp used for signalling). All the very best." "Thanks again for your call today. I really appreciate you taking the time to review my order and explain the different options. I'm sure many other companies would have just taken the money and sent it exactly as I requested without taking the time to make sure I have what I need." "Just a quick note to say that I just received the engraving. It looks fantastic, the perfect finishing touch to the album I am working on. Thank you again for your diligence and help. I am delighted." "Thank you so much for the casts, they are perfect, I'm thrilled with them! I have recommended your services to the other mums from my NCT group. Thanks again, and if by some lapse of better judgement I have more children I'll be back to see you!" "I wanted to express my thanks for the excellent service I received from your company. The delivery time was very quick and, after discovering that I had been sent the wrong colour frame by mistake, you dealt with the courier collection and resent the correct item extremely quickly. This is superb customer service and I would highly recommend your company. The frame is also beautifully made. Many thanks." "Hello! I recently purchased a casting kit and frame and have to say I almost cried it was so lovely the care that goes into the box preparation. I know I sound like a hormonal post-pregnant wreck but I've ordered quite a few things online recently and they've ALL been a disappointment, so when I received this, it was just so nice that it was all packed nicely and everything was how it should be! I'm so pleased with my purchase." "Hi Tamera, Just wanted to say how thrilled I am with the chunky glass frame you promptly delivered! The print looks amazing, very professional, and was securely packaged. You were a pleasure to deal with and nice to get some 'good old fashioned' customer service with emails every step of the way rather than being in the dark like with most online retailers. 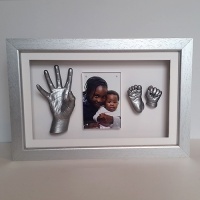 I will definitely be recommending you and I'm sure many friends and family will be asking where we had such a lovely keepsake made. I know my wife will be delighted to have such a lasting memory of our daughter's early days." "Many Thanks again....I think your products are amazing and have been telling a few friends about your site." "Thanks so much for the wonderful creations! Julian loved the Father's Day hand and foot print, it looked amazing! The cuff links are fantastic too, I couldn't be more pleased! " 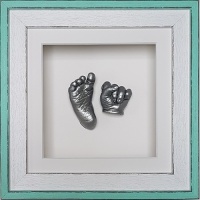 "I just wanted to say thank you very much for your help with casting my son's feet. I followed all your advice and was able to cast a successful foot first time. Thank you for taking the time to help me sort it out." "I received my jewellery this morning. You've done such a good job and I love it! It's so cute and exactly what I expected.Thank you so much." "Thank you for sending the glue for free that is really kind of you and really appreciated!" "Hi there, Just wanted to say thank-you for the perfect star and heart charms you did for me, my mother in law was overwhelmed!! Im sorry im late in getting in touch!! " "Morning Tamara, thank you for price list etc & your expert advise on the hand! Really appreciate your help. My customer was made up with her finished frame last night so thank you! 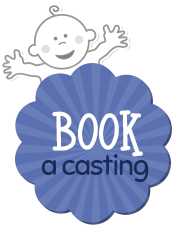 Speak to you soon"
"I just wanted to say that I was very impressed by the service I received from Everlasting Castings. I was extremely happy with all of the products that I ordered and the speed of delivery was fantastic!" "We received the mugs today and that are amazing. Thank you so much for going that extra mile and getting them to us by Christmas. Your customer service is outstanding!!! I will recommend you to everyone. There will be happy grandparents on Christmas Day. Have a great Christmas and thanks again. " "I know that often retailers only get complaints so I thought I would write and say thank you for your help with this order it arrived on Monday as promised." "The casting kit has arrived and is amazing! My daughter-in-law will be thrilled! Thank you SO much. Happy Christmas." "Hi, I would just like to say Thank you sooo much for your help.The frame was fantastic. Attached as promised is a few photos of the goal glove and picture i put in it.Sorry it taken a while for me to Email this to you. Hope picture is ok, did my best but kept getting a reflection of myself taking the photo. My son loved it. " "Thank you so much for the necklace, it is absolutely perfect! As always, a top quality product." "Tamera - just to say the wife absolutely loved the jewellery for her birthday sunday - thanks so much." "Thanks for your responses, the mug arrived in the post today and is fab! " "Thank u so much. A friend if mine has just done one from u guys and it is amazing!! " "Thank you Tamera once again for a fantastic service. It's always a pleasure doing business with you." "It was nice meeting u today.. :) pleasant and fun experience... You made it look sooo easy! Possibly will buy one of your kits in future. " "Thanks for the frames just what I was looking for and very speedy service!" "Thanks for your email, just to say the kit arrived yesterday and looks great - it seems my little girl who is only two months old is very clever for buying it for her Mum for Christmas"
"Just to let you know that I received both items and they are lovely. Thank you very much." "I didn't expect the refund as it was my error, so very kind of you to do this." "I received the cufflinks yesterday and they are absolutely lovely. I had the same done for my son two years ago and they are still my husbands favourite cufflinks wearing them every day and they still look fab. So now he has a pair for my daughter." "Hi Tamera, My belly cast arrived today. Just want to thank you for such a quick dispatch & delivery. Fantastic service. Can't wait to do my cast tonight." "Thank you for posting out to me. A lot of companies don't and it's so hard. Looking forward to seeing my order." "Hi Tamera, I hope you are well. I just wanted to thank you again for the wonderful casts, they are truly amazing...we put the picture in the frame which we took on the day...and it looks gorgeous. So I thought I would send you a PIC of then final product :). Thanks once again. Regards, Khushma"
"I really appreciate all of your help. You didn't need to go out of your way but you did anyway. So appreciate it and will recommend you to everyone I know!!!!! " "Just confirming that I have received the frame - thanks very much again for turning everything around so quickly, its very much appreciated!" "I'm not sure if I ever got round to thanking you for our wonderful necklaces? We wear them every day and my partner never takes his off!!! Mine mean so much to me and I can't thank you enough for them!!! " "Thanks for your perfect customer service and charm!! My wife is very happy with it... apparently she wants me to drop a hint to the husband of one of her friends who likes it too!! Thanks again, James"
"I just wanted to thank you for your fantastic service. The whole process was a pleasure, from the ease of use of your website to your helpful and accommodating manner when I called and finally the excellent delivery time. I would definitely recommend your company. Many thanks, Ian"
"Hi Tamera, Well I finally got my casts on the wall and I am so delighted with them I just had to email you some photos. I will treasure this forever and just to look back over the months and years to come to see how tiny my baby's hands and feet were. I did the casts at 2.5 weeks old and I must say found them quite simple to do (only 1 hand cast didn't turn out which was down to the way we held the bag around his hand). If you ever want any testimonials for your website please don't hesitate to contact me as I am one very happy customer. And also I found your customer service, help and advice fantastic.Thank you so much Dawn and Morgan x"
"Hi Tam, Just to let you know that the frames arrived safely with no breakages! What a great courier to let you have such an accurate delivery time (1 hour time slots). The black frames look awesome with the new black mounts and silver feet - definitely going to be a popular line, I reckon.Thanks so much for doing such a great job. Julia x"
"I have received the frame. It is lovely, thank you so much! The prints showed up a lot clearer than I thought. Thank you. Lilly Parker "
"Thank you for Antonios casts, they are all lovely! Hopefully see u again, one day, if we have baby number two! Elena"
"Thank you received today can't wait to do them and hang them on the tree"
"Thank you so much for your help. Your service and response is amazing. I will tell friends about you. Anne"
"Order has arrived, very pleased with it - fast, efficient and fantastic customer service!! Many thanks - Ryan"
"Can confirm receipt today, it's fantastic, brilliant Christmas gift.Thank you"
"Thank you so much for my parcel. So refreshing to find a company that does as it says. Over the moon happy. Thank you so much." "The new charm has arrived today. My wife is delighted with it. Thank you so much. Kind Regards, Dion"
"Thank you for the last time, no more children for us, threes enough! I will continue to spread great news and praise for all the happiness your gifts have bought to my family. Best regards, Steve." "Hi Tam, Just wanted to say thank you for Sebastian's casts they are really lovely & I can't wait to give my mum hers for Christmas. All the best, Monique." "Hi Tam, The keyring arrived safely this morning - it's lovely thank you. Have just wrapped it up ready for the morning! Thank you so much for all your help & for keeping me informed all the way along I know I left it rather late but your helpfulness made the whole thing alot easier - there is nothing like the personal touch - thank you. Best wishes, Clare Frost." "Hi Tam, The postman's just been with the mug!! I just wanted to say thank you so much for getting it to me before we leave (in about an hour) - really good timing! 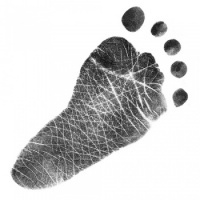 Thanks very much, Laura ;-)"
"Dear Tamera, Just to say that I received the footprint mug today and it is fantastic. I will be recommending to my friends. Thank you for the excellent service. Regards, Ruth Dixon (and Lucas Anthony, aged 5 months)"
"Thank you so much for the cuff-links. They are just beautiful and I am sure that my fiancé will love them when I give him them as a wedding gift. Thanks for all your help." "Received paint thank you. Apologies for delayed response went into labour early, baby Tommy born yesterday! Luckily we'd done the cast the day before so I can decorate it later on! Thanks again, great service and love my belly cast, a great momento!" "My kit arrived today! Many thanks for the speedy dispatch. We had lots of fun putting it on today and are very excited about decorating it soon! Thanks again for all your help." "Dear Tam, Thank you so much for getting the cufflinks to me they arrived at the perfect time and they are perfect, he loved them." 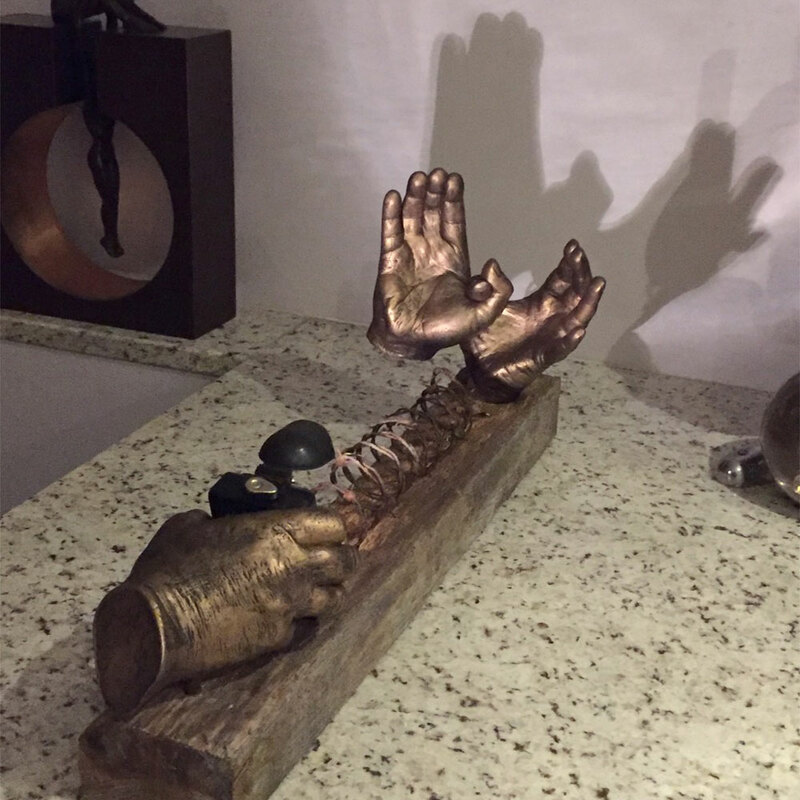 "We had a few guests over the weekend before Easter and they were so impressed and loved the casts of Jaimin's hands and feet!! The casts look fantastic and am really glad that we chose your services. We have two pregnant relatives due later this year and have already recommended to give you a call. I will be back in the near future when baby number two arrives. Thank you again. The perfect keepsake memory." "Thank you for your prompt action on the delivery front. Managed to have my day out today. It's a pleasure to receive such good customer care, which is rare these days. I'm sure when the baby is born I'll be in touch. Many Thanks"
"I have just received the cufflinks and wanted to thank you so much. They look amazing and I am sure my husband will love them. 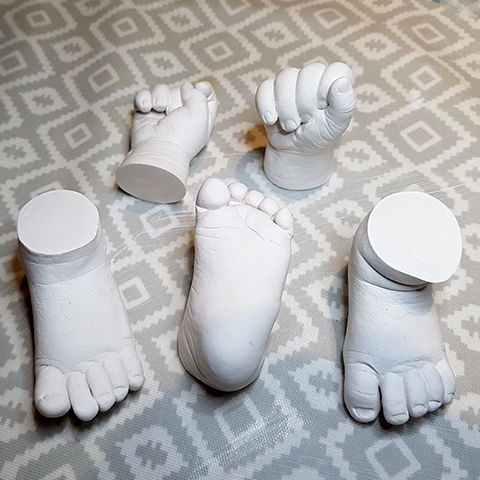 Thanks for all your help and I hope to use you again in the future.Best regards"
"Thank you for the lovely experience we had today when you cast our son's feet. Such a warm welcome. I can't wait to see the finished results." "WOW! My heart charm is absolutely lovely. Thank you so much. I will treasure it always." "I received these yesterday. They are really lovely, exactly what I wanted." "Hi Tamera, My daughter is delighted with her bracelet and even more thrilled her children's finger prints are attached. Many thanks "
"Hi Tam, just to say thanks so much for the casts..love them! Will not hesitate to recommend you to friends. Take care, "
"Goods received and they look fantastic! My wife will be over the moon. Can I say what a pleasure it was to deal with you and your team. The ownership you gave to the order and the dates was much appreciated and I will be recommending you to friends. Thank you again and well done for developing a good business with a very good service." "Many thanks for the mugs you produced for Fathers day. I am really pleased with them." "Dear Tamera, Thank you for my order of the key ring. It arrived this morning @ 7.45am! It is great and will make their Daddy very happy next Sunday! All your products are wonderful and I will regularly be checking your site for new items. Thanks again for both my orders." "Hello, I received the glass frame this morning. It looks great! Thank you very much and for sending it back in good time. " "Just to say I love your products! You have been really helpful every time I have had queries/requests and I am pleased I found this site. Many thanks again." "Fantastic service, great communication and extremely fast delivery - thank you!" "Hi, It was so really nice to meet you. Thanks you for all your help. I really appreciate all the effort you went to. The pictures look amazing." "I would like to take this opportunity to let you know how pleased I am with the service I have received from your company. My partner and I are also extremely happy with my belly cast and would like to thank you. This experience has been very unique and allowed me to bond more with my baby, my sister (whom cast my belly) and my husband who has helped finish off the cast and will also be involved when the decorating of the cast begins. I have been attending a class with other pregnant ladies and will be recommending your company to these women. Thank you again for your quick and efficient service." "I just wanted to let you know that I received my pendant this afternoon & I am absolutely thrilled to bits with it. I didn't know what to expect really because I wasn't sure how good the print was when I took it, but it's perfect so thank you all very much." "The keyring arrived this morning before I went to work. I love it! And I just wanted to say a huge thank you for your great customer service. I'm really impressed and I'll certainly recommend you." "Just in case I didn't thank you I would like to do it now. I received the keyring and was absolutely delighted with it. Thank you so much for all your help and care. It was an absolute pleasure doing business with you. You made it so easy every step of the way." "I just wanted to confirm that my cufflinks did arrive on Monday and I am really pleased with them. Thank you very much for your help. I know that Mark will love them and it will be the first tear of many on our wedding day!" "Hi Tam, Thank you for the excellent service and help. The charm necklace arrived today. I will be recommending you to my friends and work colleagues." "Hi Tam, Thank you for the excellent service and help. The charm necklace arrived today, I will be recommending you to my friends and work colleagues." "I just wanted to say a MASSIVE thank you for the cufflinks that you did for me for my husbands 40th birthday. They arrived just before the 18th January like you promised. The cufflinks are FANTASTIC, my husband (and everyone else) loves them, thank you so much for the amazing service also." "We received our heart pendants today. They are fantastic!! We are really pleased. Thank you so much for a present we can't wait to give!!" "Thank you so much for my wonderful necklace. By chance it arrived on my birthday. What a wonderful supprise! 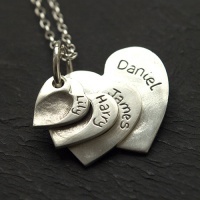 I have been looking for ages for a necklace that could take all my three children's prints, as I would not have worn a bracelet. It is wonderful, better than I could have imagined. I will be recommending you to all my friends and family. Thank you so much." "Received my heart charm with my daughter's little fingerprint last week,thanks. It is beautiful. So well made and beautifully finished. Lovely quality, thanks. Although it is intended for my charm bracelet, I have been wearing it on a chain around my neck all week. Thanks also for the ongoing advice about the making of the charm. I was concerned about there not being many lines on the print, and you kindly advised me throughout the process. Thanks for such a lovely item - I will treasure it." "I have just collected my bracelet and it looks fabulous! I am absolutely thrilled and lots of my friends here are interested - especially with the whole 'husbands off to Afghanistan' thing, it's a lovely thing to wear. Just wanted to let you know that I am a very happy customer!" 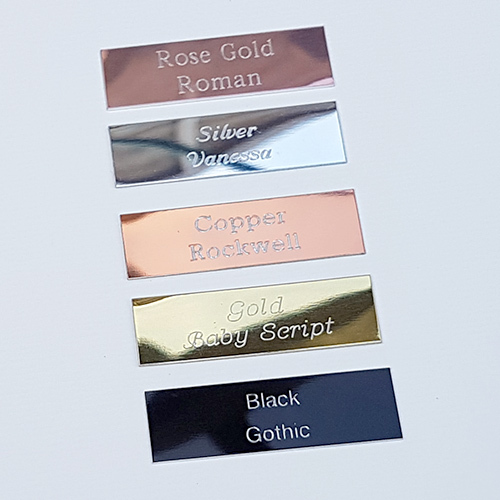 "I ordered a chunky fingerprint dogtag charm from yourselves for Fathers day and would just like to let you know that it arrived in great time and is beautiful. My husband thinks it is the best present he has ever received"
"Just wanted to say thank you so much for turning round the bracelet and cufflinks so quickly. I am absolutely delighted with them and hope the recipients will be too. The bracelet is fantastic, think I’d like one for myself so I’ll have to drop a few hints to my husband for mother’s day or something!!! Thanks again." "I just wanted to say thank you so much for the order below, we are delighted with the final products, as were all the recipients, they made perfect and treasured Christmas gifts. We were also pleased with the high standard and speed of service received through out the whole process and have already recommended you to all our friends." "Just to say thanks a million for sorting out the delivery, it arrived today safe and sound. Great product and service. Thanks again." "The cufflinks and keyring are wonderful and i can't wait to give them on Christmas Day." "Excellent belly casting kit! We had a ball making the belly cast. Thank-you so much." "Dear Tam, Thank you so much for the speedy delivery of impression material and thank-you for the extra pack. We were able to do 2 perfect casts which meant a lot to the family and us. Thank-you once again for your kindness and do get in touch and come and look round. We'd love to meet you."